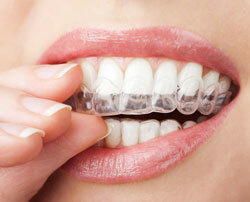 Hidden Lakes Dental Care, PC offers Invisalign, or clear braces, to patients in the Bolingbrook Area. Here are some of the benefits of getting Clear Braces from our dentists. For more information about the Invisalign procedure from Hidden Lakes Dental Care, PC, call or fill out the contact form above.